We all have that friend who is always drowning head-to-toe in caffeine overload. Whether your friend loves coffee to fight exhaustion or is just a lover of the finer things in life, there is a great, coffee-immersed gift out there. Just because they love coffee, doesn’t mean they need another Starbucks gift card. This is a gift guide to finding the perfect presents for all your coffee-loving friends! Made with a blend of coffee and essential oils, this gift kit comes with Frank Body Original Coffee Scrub, Express-O Coffee Scrub, Creamy Face Scrub and a lip scrub. 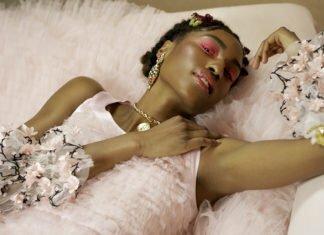 Featuring vegan and 100% natural ingredients, these products are a cult favorite for anyone beauty obsessed or that loves a good coffee infused product. 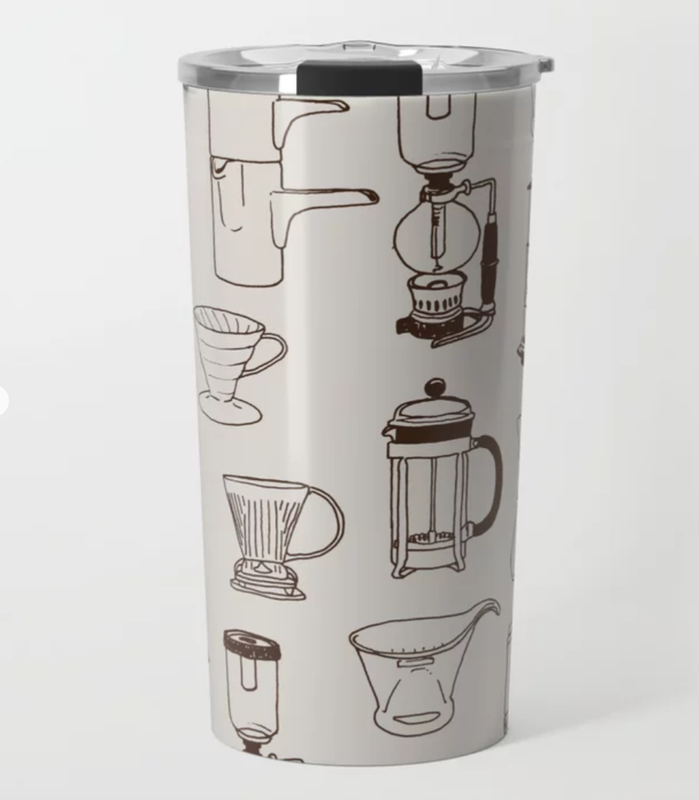 Every coffee drinker on-the-go needs quite a few travel mugs in their life… Society6 has you covered on this gift idea! 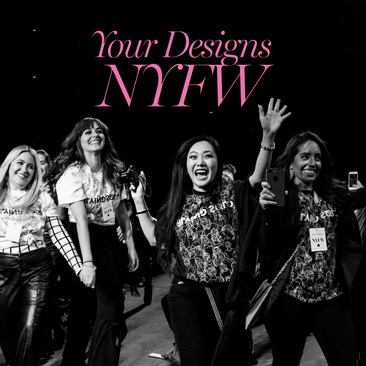 As the home of thousands of independent artists from around the world, Society6 gives artists an outlet to sell their unique designs. This 20 oz. 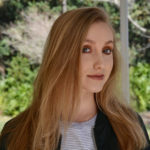 travel mug features the work of artist Brittany Erin Appel. 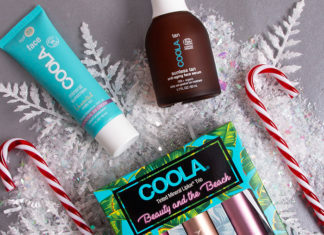 This limited-edition box is the perfect gift for all your morning buzz needs. 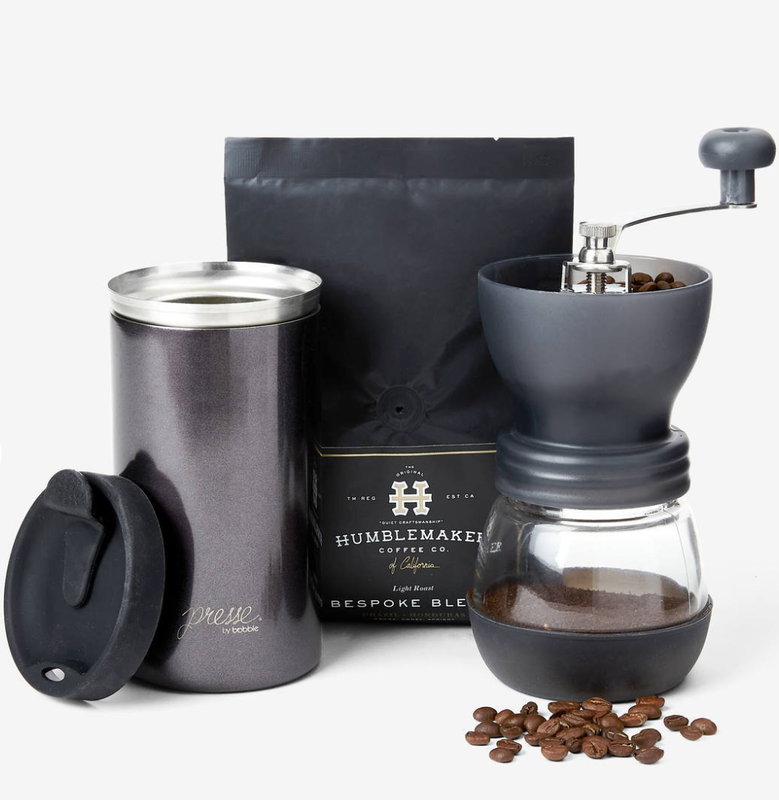 Sophistication in a mug, fresh coffee beans, and a portable coffee grinder, all in one! Did someone say Copper? 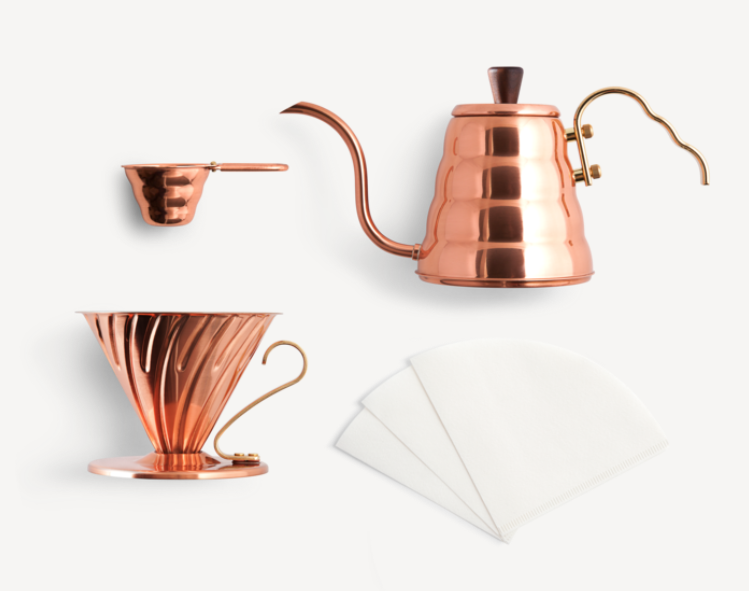 This ever-so classic Hario kit comes with the V60 dripper, copper scoop, V60 filters, and a 12 oz. 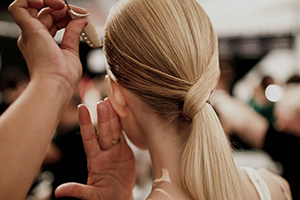 Hair Bender. All pieces in the Copper Kit are also sold individually on the Stumptown Coffee Roasters site. 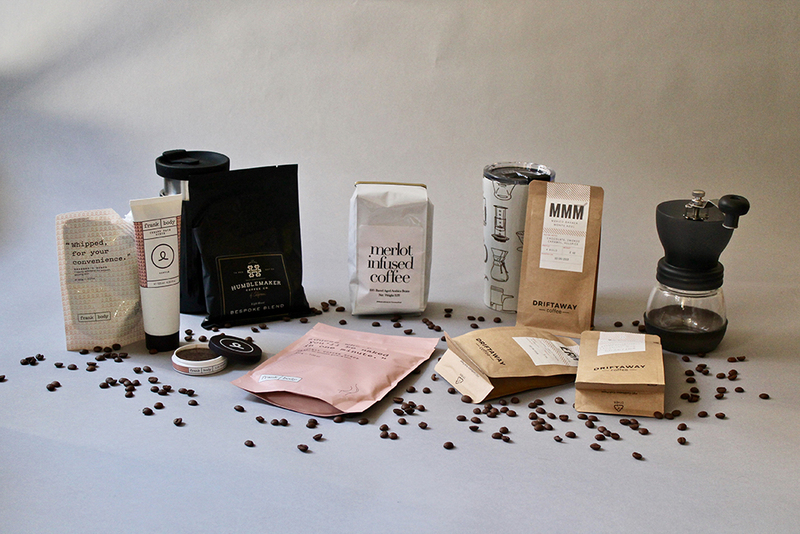 Formulating curated gifts for coffee lovers, this Brooklyn-based small-batch coffee roaster provides personalized subscriptions and unique brews from different places around the globe. 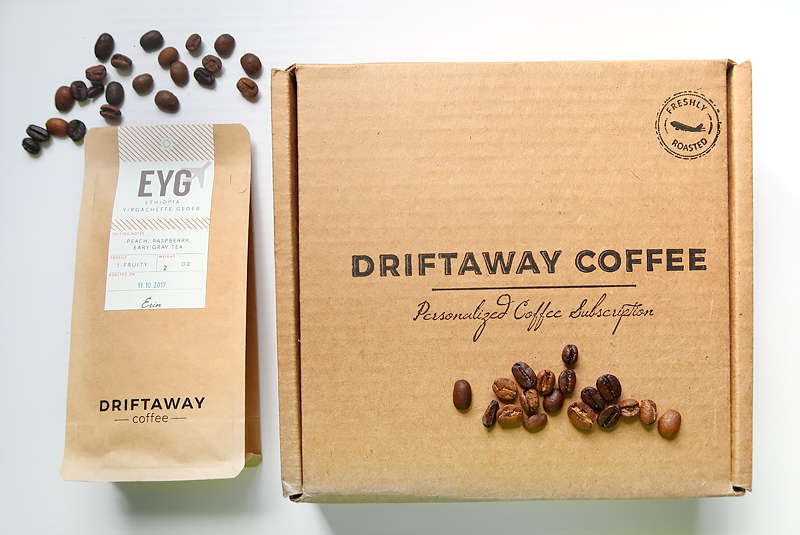 Personalized shipments are mailed out within 6-hours of roasting to ensure fresh quality. Just create a customized gift and match the coffee connoisseur recipient to their ideal coffee farmer! This gift set consists of a handcrafted, stainless steel French press with two matching tumblers. 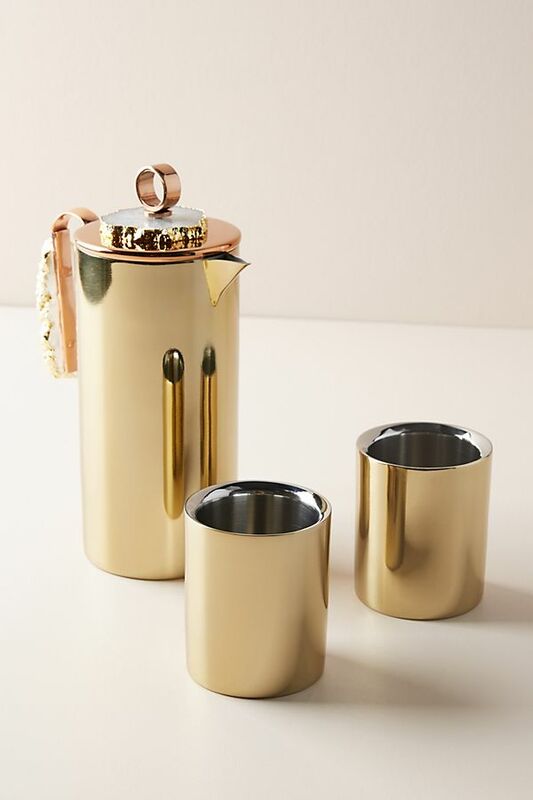 Perfect for your friend that enjoys coffee with a gold aesthetic! A smooth cold brew coffee for that beachside coffee lover. 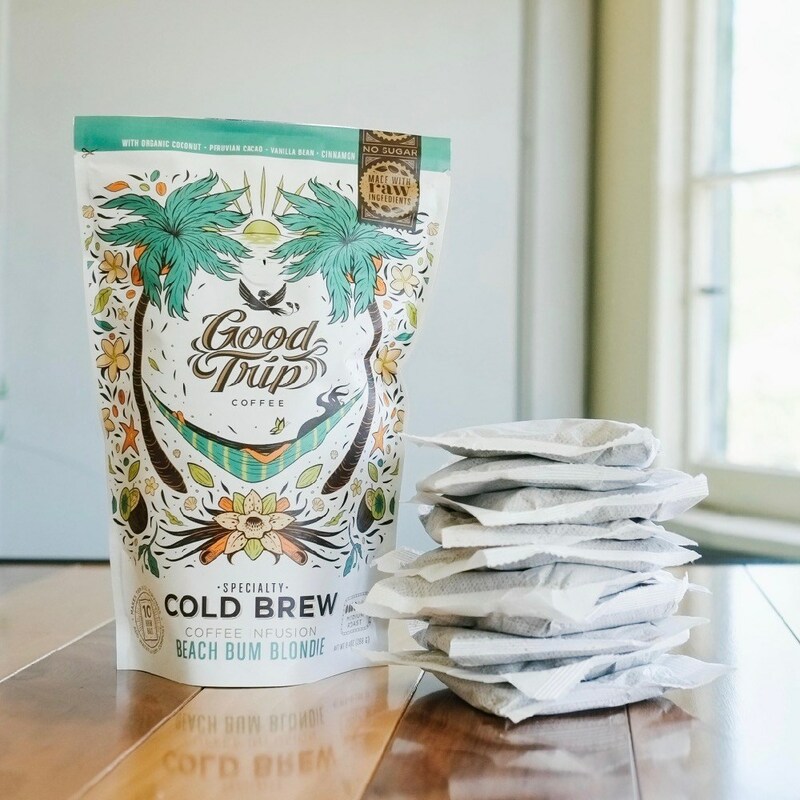 Good Trip Coffee specializes in formulating vibrant and uplifting coffees with all natural ingredients. 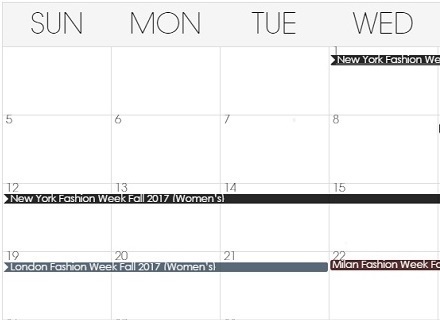 The company is constantly promoting equitable, sustainable communities and even donates a portion of proceeds towards education at origin. Wine and coffee combined … is that even possible? 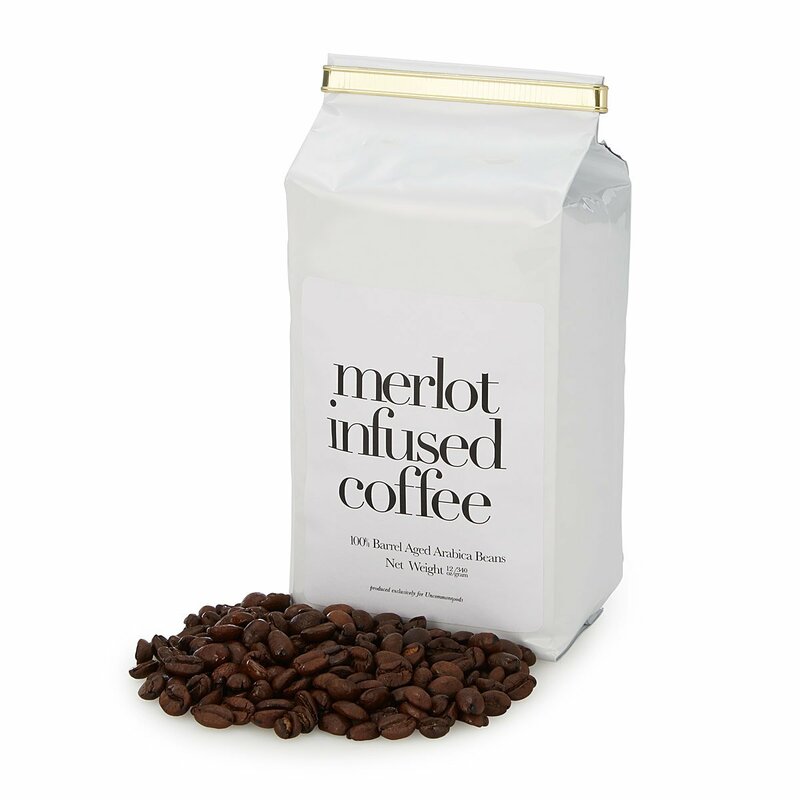 With Arabica coffee beans, brewers John, Rhonda, and Harrison Jenkins use infusions from wine barrels to create this unique coffee that any coffee enthusiast will be excited to try! A classic, antioxidant rich sheet mask is sure to give the skin an energizing boost! 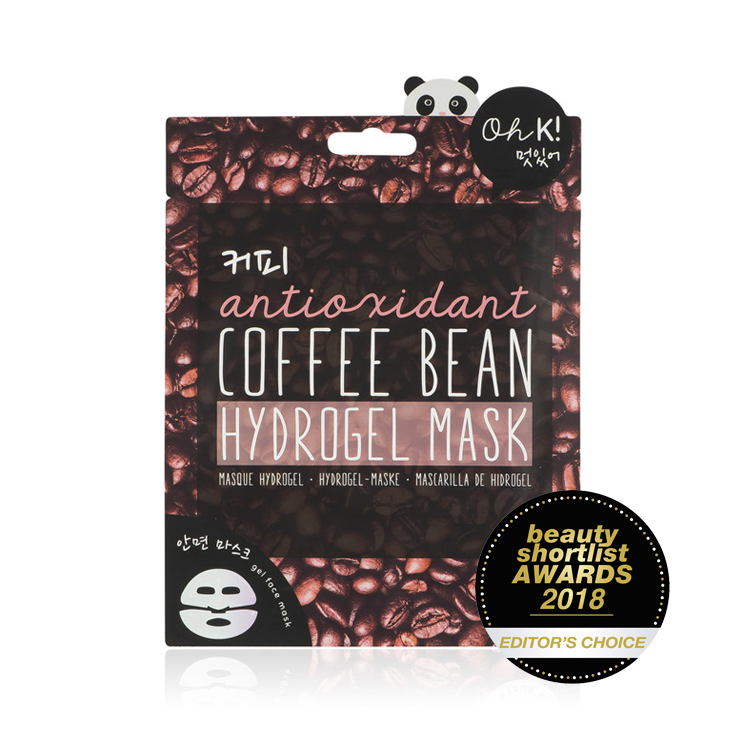 Smelling like a fresh cup of coffee, this Coffee Bean face mask is made with Arabica extract that will lock moisture into the skin, leaving the face hydrated and ready for the day. A mug with a message. Give your friend, the coffee connoisseur, a mug or two! 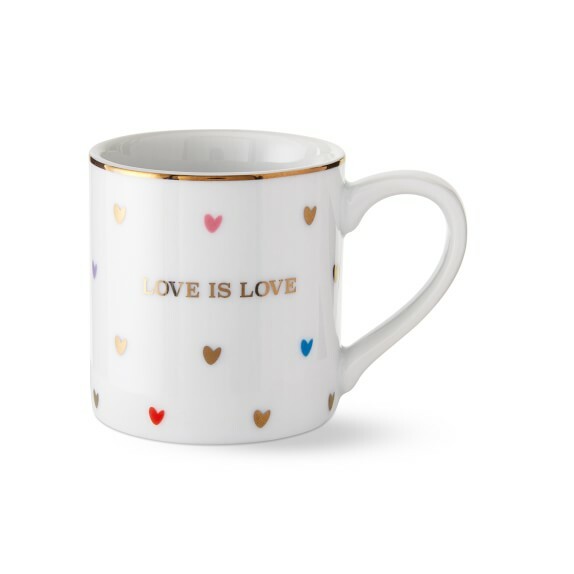 This specific porcelain mug emblazoned with the saying “Love is Love," has hints of gold and multicolored hearts. Williams Sonoma will donate 50% of the purchase price of each set to The Human Rights Campaign.